For Type 1 Diabetes: The End of Insulin? A Johns Hopkins-led clinical trial could lead to the elimination of the need to deliver exogenous insulin to patients ever again. A multicenter clinical trial at Johns Hopkins could one day lead to elimination of the need to deliver exogenous insulin to patients ever again. 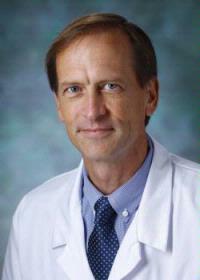 The trial—led at Johns Hopkins by Diabetes Center Director Thomas Donner—is testing a privately developed protocol in which embryonic stem cells are directed to differentiate into pancreatic endodermal cells, a precursor to the islet cells that produce insulin in the pancreas. These live cells are secured into small cartridges, about the size of half a credit card, and then surgically placed subcutaneously in a patient’s flanks and forearms. Pores in the cartridges allow them to become vascularized so the encapsulated cells can receive oxygen and nutrients from the patient’s blood supply. In the clinical trial, which is still recruiting patients, smaller satellite capsules are placed at the same time. They’re removed periodically, Donner explains, so that the research team can better understand whether the enclosed cells fully mature into islet cells in the body as expected, whether there’s been a detrimental immune response that’s affected their viability, and how well they’re surviving and thriving in general. If even 50 percent of the cells stay alive and mature to produce insulin, he says, it will eliminate the need for patients to administer insulin. No other human trials exist for this type of technology, Donner adds, and the trial is taking place at only six sites: two in Canada and four in the U.S. The total number of patients across all six locations is tabbed to be 48. “For Johns Hopkins to participate in this extremely selective trial shows our commitment to cutting-edge technology for our patients,” he says. Thus far, two patients have enrolled in the trial at Johns Hopkins. Both have hypoglycemia unawareness, a potentially life-threatening subset of type 1 diabetes in which patients have few discernable symptoms of low blood sugar until serious complications develop. Being willing to participate reflects these patients’ strong desire to be free of administered insulin, Donner says. Besides the time commitment required for frequent checkups, patients must also commit to multiple surgeries to place the cell capsules and extract some of them, and undergo numerous blood tests and continuous glucose monitoring to assess the function of the implants. Additionally, because the porous nature of the capsules opens the enclosed cells not just to resources from the blood supply but also immune attack, patients in the trial must be on a four-drug immunosuppressant regimen. Expanding on this concept, Donner is working with colleagues at The Johns Hopkins University’s Department of Biomedical Engineering to encapsulate single insulin-producing cells in a permeable hydrogel that would protect them from immune attack.